This book is for anyone who's dreamed of flying. 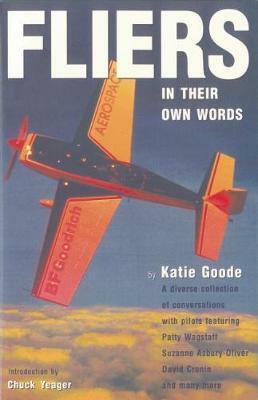 Katie Goode interviews aviators about their art, their careers, their kinds of flying...airshow performers, skywriter, Alaska bush pilot, airline captains, homebuilt airplane pilot, airforce captain, firefighter pilot, news-helicopter pilot, and more. All of the stories are in the pilots' own words. A perfect gift for experienced pilots or those active in "hangar flying," Fliers is motivational reading for all and makes an excellent guide to careers in aviation! Introduction by Chuck Yeager. Fully illustrated with photographs.